You may have worked with us in the past, when you needed a roll-off rental for a job you were working on. Or maybe you heard about us from a friend or family member that used us for one of their projects. Either way, the name you know and trust for local waste removal doesn't just do rentals. Oh no, we can tackle your commercial needs too. 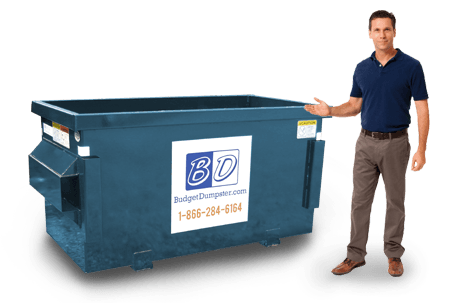 All it takes is a phone call to get you set up and you'll be lined up with the perfect dumpster for your specific situation. 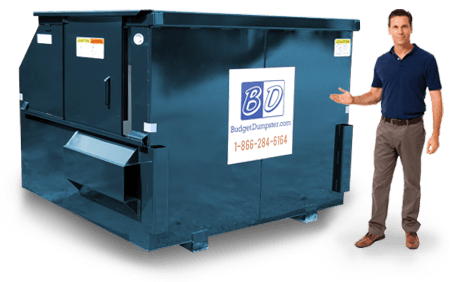 No cookie-cutter service from us, that's not how Budget Dumpster operates. We built our company from the ground up, and while we have our roots in the Midwest, over the years we have expanded across the country. And this includes Tulsa. You get the benefits of a national company, but the experience of a local service. We've got a hub right in the area, which means we can adapt to your needs quickly. This also means that you won't be waiting around for your deliveries or your pickups either. We want to make sure that you are so satisfied you never want to rent with those other guys again in the future. We've got the Budget Dumpster difference on tap and ready for tasting. 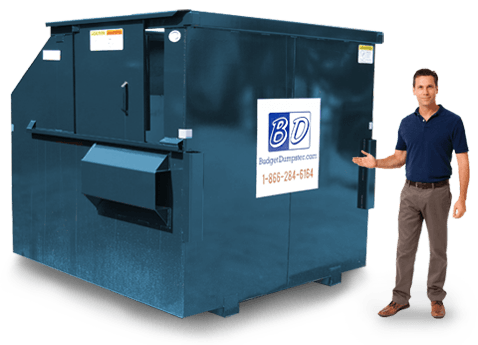 At Budget Dumpster, we have a great concern for the environment. We consciously work toward a more sustainable future every day. Constantly, our experts are figuring out new ways to take a little bit more of the stress off our planet. As much of your recyclables as possible will end up in reclamation centers across the United States. We recycle as much as we can and we safely dispose of what we can't. Our goal is for a 100% zero-waste future and for us to be on the front lines of discovery. Being green isn't just something we slap on our website; we try to live it in everything that we do. It's something that we care deeply about and we know that you do too. 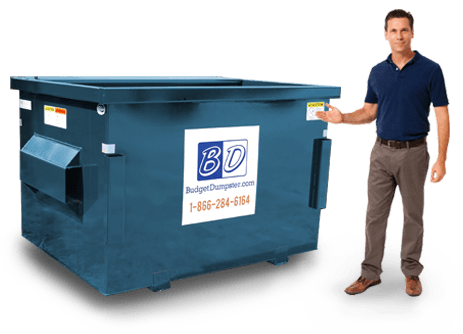 Whenever we stop by to empty your dumpster, you can be confident that everything inside the unit is going to be handled safely and responsibly. We aren't pulling your leg, just ask one of our reps where it'll go and they'll tell you the whole story.